It’s been a while since we’ve updated the blog, and we’ve undergone some major changes! First, I am helping around the workshop at White Apple. Who am I you ask? I’m Jennifer, a new partner in White Apple crime! I’m really looking forward to meeting new faces, and hope you love our handmade items as much as I do. Secondly, we are mixing things up with new liners, products, and prints! Last weekend we visited our friends in LA who supply us with amazing recycled fabrics. We picked up a few things that we thought you might like… I am most excited about the new polka dot selection – Army Brat and bringing back Betty Beats (say that three time fast!). 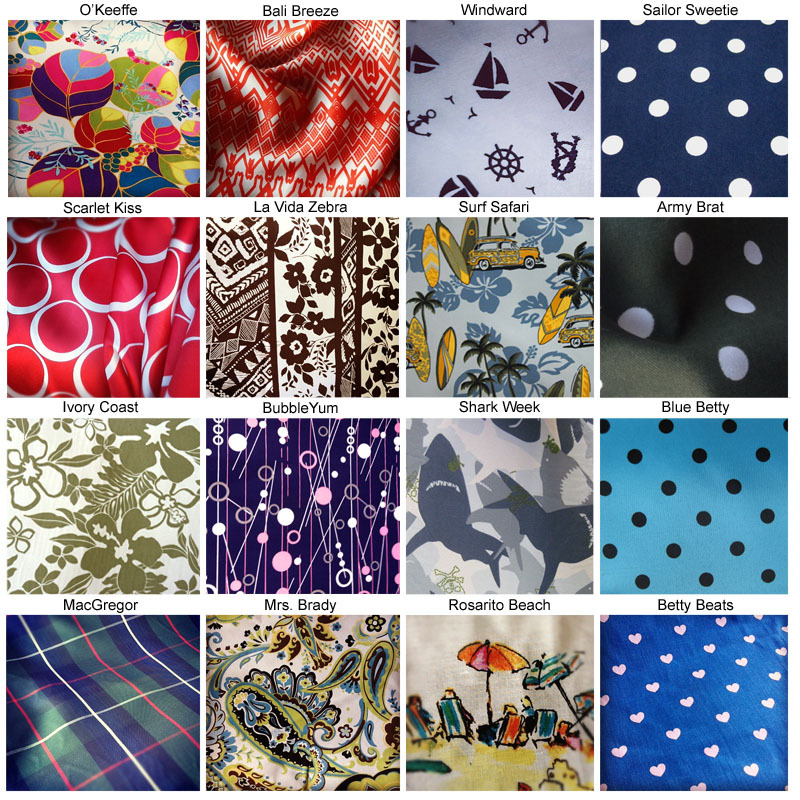 Also, our new nautical themed print “Windward!” A new plaid print, beachy linen, and the beautiful Mrs. Brady. Don’t worry, we didn’t get rid of any liners, just added more! Last weekend was my first time in LA’s fashion district. I’m not going to lie, I was a little overwhelmed. 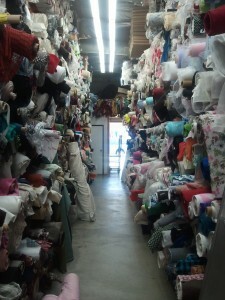 We visit multiple locations to buy our fabric by the roll. We literally sort through hundreds of rolls of overstock fabric to find liners we hope you’ll love. After taking it all in, I was able to find some awesome choices! We’re so excited to start using the new liners in our spring bags! While we’re talking about great finds… I have to take credit for “Windward,” which I’m totally in love with. It’s a silky smooth satin with some great nautical items. I saw tiny sailboats at the top of a massive stack of fabric. We decided we couldn’t live without it! Get the ladder! We are workin’ hard for you guys! Every one loves pillows. 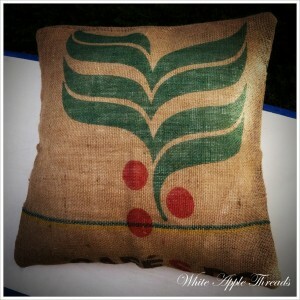 So we are going to start some new and exciting White Apple Threads pillows, just for you! As always they will be Eco-Friendly recycled coffee sacks, but we will also be trying something new. Stay tuned! Or, just add us on facebook. Your couch/bed/cottage is going to love it! Last, Josh has re-vamped the White Apple website, and now we have a whole new page for custom orders! Go check it out. http://whiteapplethreads.com/custom/ Our custom bags make great gifts for bridesmaids, so spread the word if you have friends that are getting married this year! P.S. Don’t forget to “Like” us on Facebook to get (more) current updates about what we are up to.